Borchiellini, C., C. Chombard, M. Manuel, E. Alivona, J. Vacelet, and N. Boury-Esnault. 2004. Molecular phylogeny of Demospongiae: implications for classification and scenarios of character evolution. Molecular Phylogenetics and Evolution 32(3):823-837. Chombard, C., N. Boury-Esnault, A. Tillier, and J. Vacelet. 1997. Polyphyly of "sclerosponges" (Porifera, Demospongiae) supported by 28S ribosomal sequences. Biological Bulletin 193:359-367. Erpenbeck, D., G. P. McCormack, J. A. J. Breeuwer and R. W. M. van Soest. 2004. Order level differences in the demosponge LSU structure? New insights in an old taxon. Molecular Phylogenetics and Evolution 32(1):388-395. Lavrov, D. V., X. Wang, and M. Kelly. 2008. Reconstructing ordinal relationships in the Demospongiae using mitochondrial genomic data. Molecular Phylogenetics and Evolution 49(1):111-124. Nichols, S. A. 2004. An evaluation of support for order-level monophyly and interrelationships within the class Demospongiae using partial data from the large subunit rDNA and cytochrome oxidase subunit. Molecular Phylogenetics and Evolution 34(1):81-96. Reid, R. E. H. 2003. Demosponge phylogeny. Pages 113-125 in: R. L. Kaesler, ed., Treatise on Invertebrate Paleontology, Part E. (revised): Porifera. The Geological Society of America and The University of Kansas, Boulder and Lawrence. 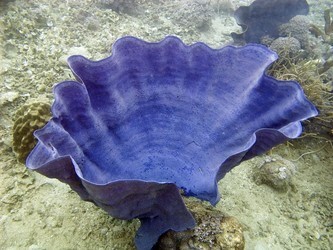 This Phakellia fan sponge was observed during one of the submersible dives. Page: Tree of Life Demospongiae. The TEXT of this page is licensed under the Creative Commons Attribution-NonCommercial License - Version 3.0. Note that images and other media featured on this page are each governed by their own license, and they may or may not be available for reuse. Click on an image or a media link to access the media data window, which provides the relevant licensing information. For the general terms and conditions of ToL material reuse and redistribution, please see the Tree of Life Copyright Policies.